In Loving Memory of Thomas W Hall. Died 15th August 1936. Aged 78 years. 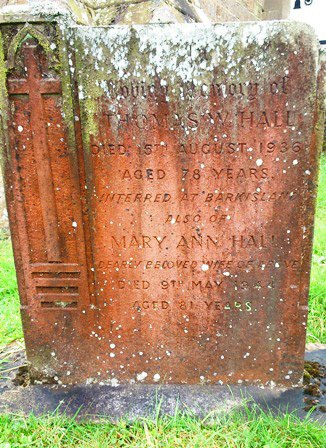 Also of Mary Ann Hall dearly beloved wife of above. Died 9th May 1944. Aged 81 years.